Free downloading links of the Assam Gramin Vikash Bank Multipurpose Assistant Previous Years Papers are provided here. Click on the enclosed links to get the AGVB Clerk Old Papers PDF. Here, we provided the AGVB Office Assistant Practice Papers just as a reference for the preparation. So practice them and make your preparation perfect. These Papers will help you in the Examination to manage time. 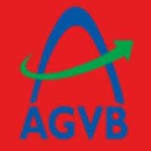 Finally, download the AGVB Probationary Officers Previous Papers and use them as a reference for the scheduled preparation.